Persunmall. Yes, I can read your mind, my bag is from Persunmall! First, when I saw it on the sites, I said to myself that I need this bag. and the second, I peek at the number listed bellow, I feel relieved. Again, Persunmall has the worth price for a catchy bag like this. Fyi, this bag really has big space for a full time student like me. daily make up: eyeliner, lipgloss, pocket mirror, face paper, checked! Even I can put my lunch box inside! haha yes, I always bring my lunch from home everyday, no food are healthier than a mommy cooking! And this is what happen if I am lazy to dress up, a simply white shirt and high waist shorts grabbed with a rush, but I think this bag can help me to cover my laziness! your hair is soooo long already! That bag is super cute! Love how you styled it! 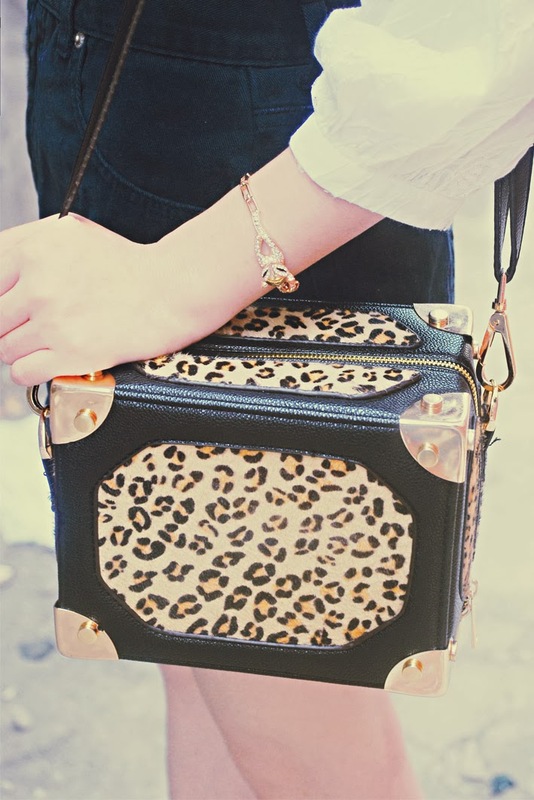 such a cool bag! :D you look stunning as always! your outfit is so simple and elegant. love your photos and where you took them!